The musical world is coming together on Wednesday to mark the 200th anniversary of the birth of composer Richard Wagner with a series of programmes and events. The controversial German musician is considered to one of the most revolutionary musical thinkers of the 19th Century. London's Royal Festival Hall will pay tribute with a Wagner birthday concert by the Philharmonia Orchestra. Led by conductor Andrew Davis, it will be broadcast live on BBC Radio 3. Other activities at the Festival Hall include balcony fanfares and a performance of Vitali Bujanowski's arrangement of Ring. There will also be a performance of the Siegfried Idyll by students from the Royal College of Music and an exhibition of illustrations from Barry Millington's new book Richard Wagner: the Sorcerer of Bayreuth. The events have been organised by the London-based festival, Wagner 200, with support from BBC Radio 3, which is broadcasting a series of programmes throughout the week to showcase Wagner's work. On Wednesday, during the afternoon programme Composer of the Week, Donald Macleod will discuss how Wagner struggled to make ends meet as a young man in Paris and "fell under the spell" of French Grand Opera, and in particular, the influence of Giacomo Meyerbeer. Wagner would later violently reject Meyerbeer's work in his hate-filled, anti-Semitic tract, Jewishness in Music. Meanwhile Katie Derham will present music from Wagner's last opera, Parsifal, and the Symphony No 7 by Anton Bruckner. 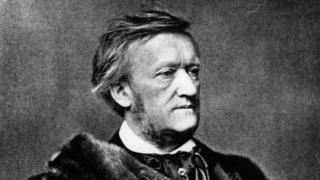 Born in Leipzig in 1813, Wagner was an acknowledged anti-Semite, providing anti-Jewish inspiration for the Nazis. He was also Adolf Hitler's favourite composer. Rounding off the week on BBC Radio 3, a new production of Wagner's epic Lohengrin by the Welsh National Opera will be broadcast live from the Wales Millennium Centre. Described as the composer's "Romantic opera", Lohengrin is set in the 10th Century where themes of chivalry, love and redemption collide. In the run-up to this week's bicentenary, leading opera houses including the Met in New York, La Scala in Milan and Vienna State Opera, have unveiled new performances of Wagner's 16-hour-long, four-part opera, Ring Cycle. Daniel Barenboim will conduct the first ever complete Wagner Ring Cycle in the UK as part of the BBC Proms' eight-week festival in July, with Welsh opera star Bryn Terfel among the guest singers.